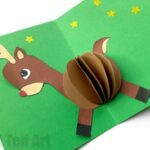 Here is a little “blast from the past”… I created this Toilet Roll Reindeer, goodness, three years ago for The Guardian online and it has taken me this long to share this Loo Roll craft with you too! You can tell how my “images” look a bit dated…. and the kids are missing, as The Guardian didn’t want as many photos for their article! 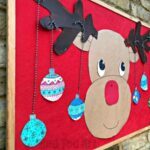 The Christmas season is a special time of year – it is a time to create traditions and make memories. 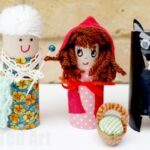 There are special stories, delicious food and time to get crafty! 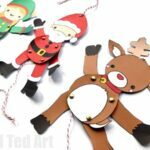 We have so many Christmas Crafts for you here on Red Ted Art, that I do hope you find the time to browse them, follow them or be inspired and make them special to you and the children you are crafting with. I particularly like this one, as you can combine it with a stick hunt in the park or while out for a walk! 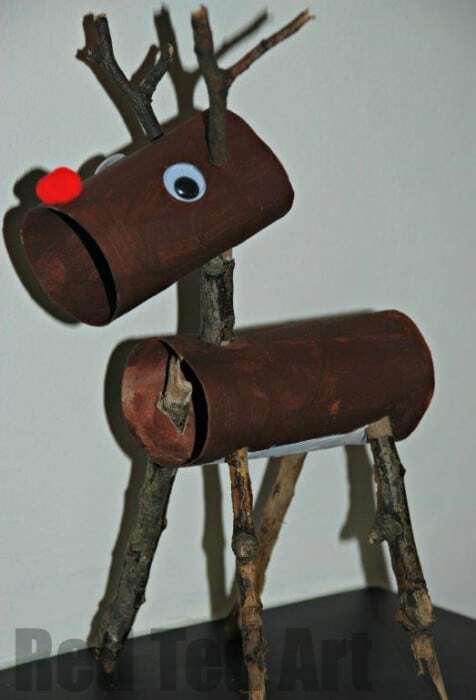 It is a cute reindeer – more for decoration than for playing with… but it does like being loved! 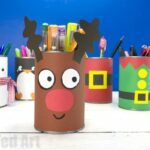 Materials: Two loo rolls or one kitchen towel roll, enough straight-ish sticks for four legs, one shorter neck and two forked sticks for antlers, paint (brown and white), scissors, googly eyes and red fluffy nose. 1. 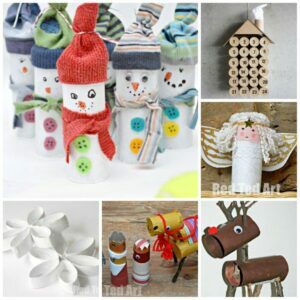 Paint the paper rolls brown. My three-year-old got enthusiastic and painted the inside too. This isn’t strictly necessary. Leave to dry. 2. Add a white tummy (optional) and leave to dry again. 3. 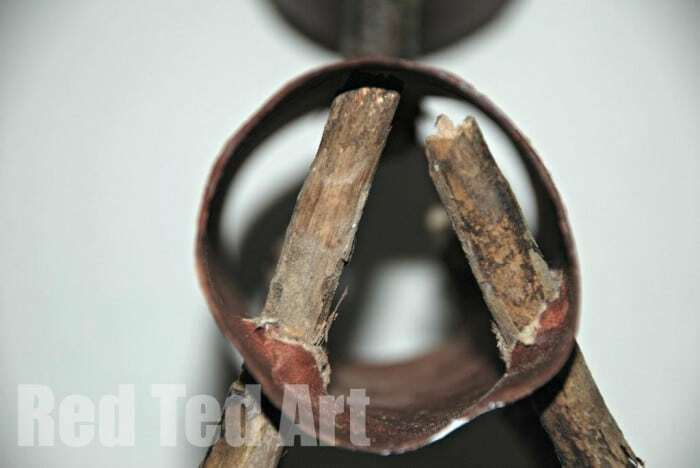 Cut down the roll for the head. It should be about two-thirds the length of the body. 4. 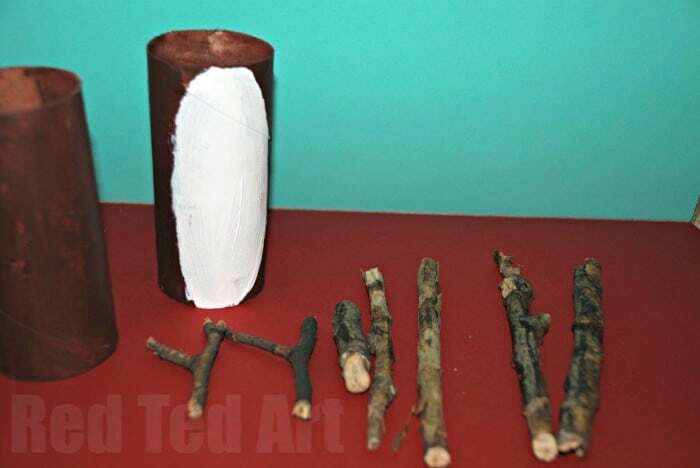 Cut some holes for the sticks and poke the sticks through. (Four on underside for legs, one top for neck. 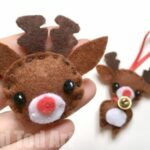 On head piece: two on top for antlers and one underneath for neck) I found it helpful if the sticks “Go all the way in”. That way they don’t move about so much. I also added lots of PVA glue to help keep them in place. 5. Glue on googly eyes and nose. Might have known that you’d already made one. 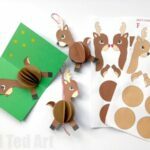 I saw your Unicorn and knew that this is what I’d make ready for Christmas 🙂 – Wondering if I can still do it with conkers for feet though – sort of combining your two crafts. Great minds!! And yes of course, conkers would look lovely! My pleasure, love Festive Friday! 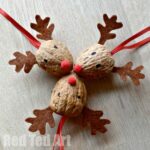 I love the woodsy feel of this adorable reindeer. I am pinning him.